What do leading research companies have to say about the present and future of the cloud professional services market? Through recent studies into the current trends into the market, new information comes into play regarding the growth of professional services firms. How can you brace for it? What do the insights say? What does the Term Cloud Professional Services Mean? Where will Growth in the Cloud Professional Services Market Take Place? (PR Web) Technology Business Research Inc.’s (TBR) Cloud Professional Services Customer Report shows demand for cloud professional services continues to escalate, with more than 74% of enterprise clients, compared to 59% in 2011, purchasing or considering purchasing cloud computing services engaged with a cloud professional services vendor for assistance. Recently, clients’ professional services demands shifted, with a need for assistance in system integration and implementation taking the lead..
With a growing number of customers investing in cloud services, the demand for cloud professional services is on the rise. 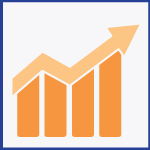 TBR estimates cloud professional services revenue increased 50.4% to $17 billion in 2013 from $5 billion in 2010, and expects it will grow at a compound annual growth rate of 12% to $30 billion by 2018. Markets outside the U.S., such as APAC, are finding need for cloud professional services to make use of cloud technologies. 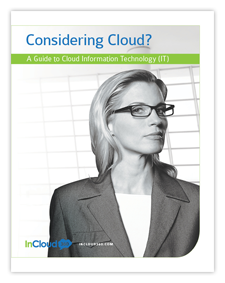 Where Can You Get Additional Research into Cloud Professional Services? Many research companies offer in-depth information on the Cloud Professional Services Market, with two of the top reviews coming from Technology Business Research (TBR) and International Data Corporate (IDC). TBR’s Cloud Professional Services Customer Report offers vendors a critical view into the opportunities in the cloud professional services market by looking at the field through a business-centric lens and offering the view of the customer. The report provides a unique look into the market of cloud professional services, analyzing the growing cloud landscape for customers and vendors. For more information about the Cloud Professional Services Customer Report or to purchase the report, please visit the TBR website. Cloud Services: The Professional Services Opportunity provides research and analysis of customer demand and service vendor offerings for consulting and professional services to help design and execute on a cloud strategy. Specific topics include customer demand for strategy work around cloud adoption, leveraging hybrid strategies, and building the necessary infrastructure to support a cloud strategy. IDC’s research helps service firms move beyond the hype to identify new service opportunities and new business models for cloud computing, both in the United States and other parts of the world. IDC Custom Solutions develops and delivers programs designed around your specific business goals using a foundation of research and insights across technologies, geographies, and industries as well as expertise across practice areas that span strategy, sales and marketing, and business measurement and management. InCloud360 is pleased to see more sustained growth in cloud computing. As a provider of consulting and cloud solutions to growing businesses, the preceding reports add to the testaments of cloud success. We look forward to sharing more positive news in cloud computing and services. We invite you to sign up for our newsletter, follow us on Twitter (@incloud360) and contact us at 678.250.3086.